iSupport includes numerous features for efficiently recording and resolving incidents, but you can enable features gradually with our easy-to-use configuration settings. You can customize fields, tabs, and more to track the information you need and use terms specific to your company. 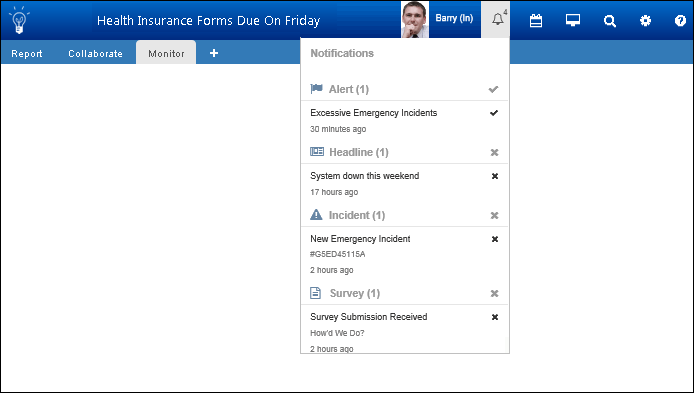 You can create layouts for entry screens based on different types of users, different types of work, etc. Time-saving tools that automatically process emails, apply templates, route, initiate approvals, send notifications, and more are included. Members of your support team will appreciate the many options for keeping track of their work items, including news feeds, a Desktop Notification Center, alerts, and customizable notifications.